These food combinations may sound strange, but they taste amazing. A great recipe can come from experimenting with ingredients one would normally not put together. I recently dipped popcorn into my bowl of vanilla ice-cream and it tasted amazing. That got me thinking about other weird but tasty combinations. Below are some of the weirdest, most interesting food combinations we found on the Internet. If you love pizza as much as dessert, here’s something you can try. Apparently, pizza and chocolate make a very delicious combo. 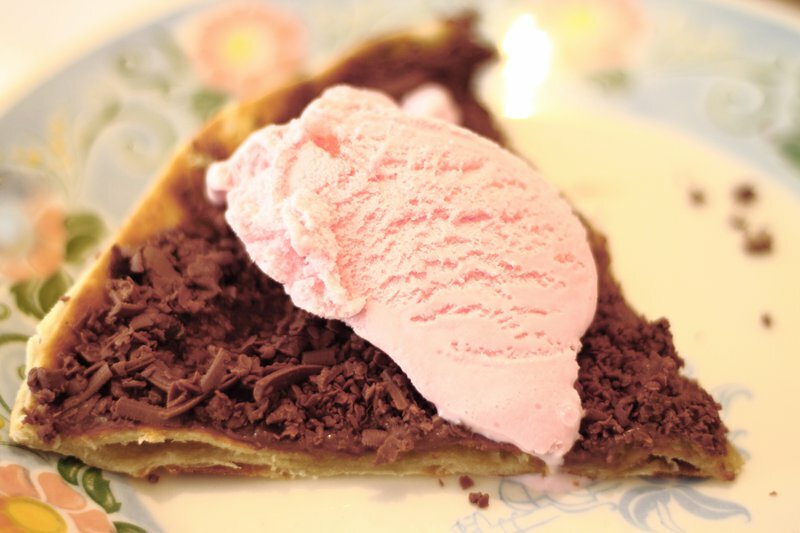 Yes, you read correctly, your favourite pizza drizzled with melted chocolate is a real thing. You can use different flavours of chocolate. Just make sure you melt the chocolate first before putting it onto the pizza. This was one of my favourite combinations growing up. I loved putting Cheese Naks on my sandwich. The two ingredients complement each other so well. You can use any type of potato chips and don’t forget the butter. Want to try something different for breakfast? Well corn flakes with cheese is something different. The sweetness and crunchiness of the cornflakes combined with the savoury cheese make a great combination. Pap and inkomazi might be common, but did you know that rice and milk also taste good? This weird food combo is one of my grandfather’s favourites. You can use either inkomazi or fresh milk. This combo might sound gross, but trust me, it’s not. Instead of using the usual chocolate or strawberry sauce to top your ice-cream, give soy sauce a try. Honey is great for flavouring and has many health benefits. It also makes a great dip for chips, especially if you like sweet and salty food combos. Check out the below video for more weird food combinations. Do you have a favourite weird food combination? Share with us in the comment section below.